The multi-award winning Govino glass is now top-rack dishwasher safe! 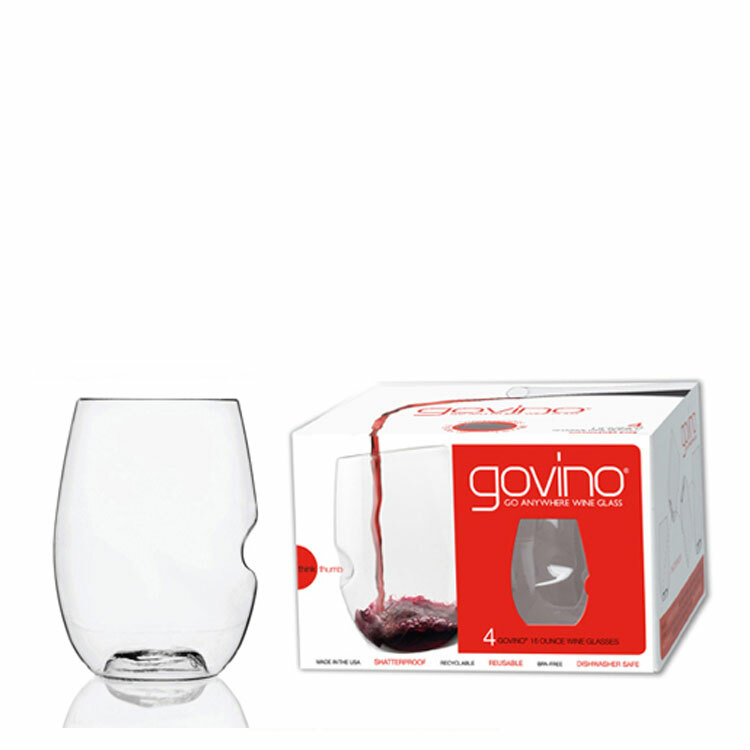 Made of an ultra-thin, flexible BPA-free polymer, Govino reflect a wine’s colour and aroma much like crystal. The glasses are ergonomically designed with a patented thumb-notch for a secure grip and easy swirling. Shatterproof, reusable and recyclable. Made in the USA. Govino is the tumbler that “goes anywhere” glass cannot not – to the patio, beach, picnic, around the pool and into luggage. 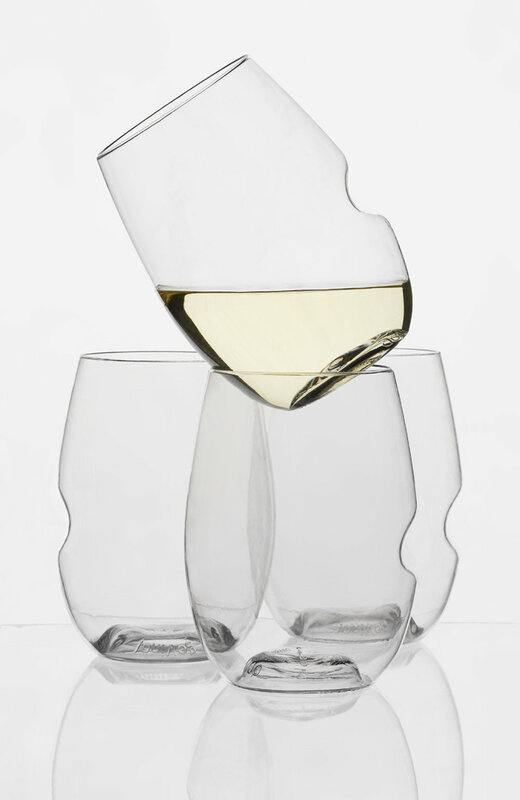 The elegant tulip-shaped stemless glass is shatterproof, reusable and recyclable. Made of a food grade polymer resin, Govino is BPA free and reflect the wine’s colour and aroma much like crystal. The glasses are ergonomically designed with a practical thumb notch giving the perfect grip even with wet or greasy hands.